Now that Christmas has passed, I’d like to share one of my Christmas gift projects with you! These tea towels were definitely one of my favorite gifts that I gave this year, I love the fact that they are both handmade and sentimental. 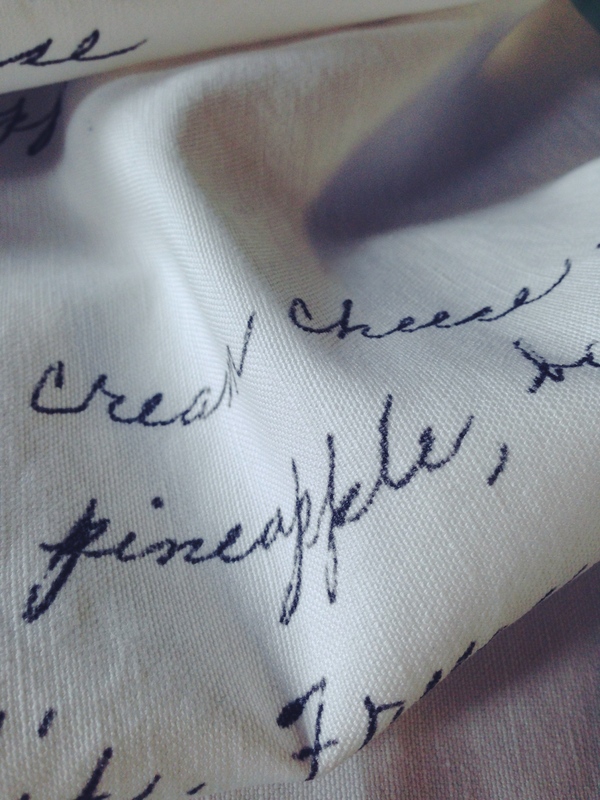 Did you know that you can upload any image and have it printed onto fabric? I’ve wanted to use this idea for quite some time, and decided to try making personal homemade Christmas gifts with this method. I’m so happy with the way this project turned out! 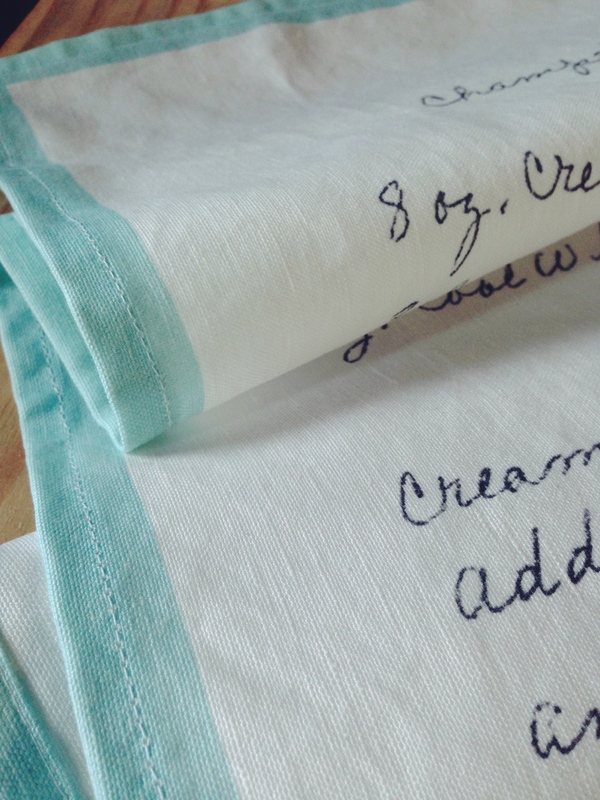 I chose to feature one of my great grandmother’s handwritten recipes on these tea towels, but you could use any image, recipe, or drawing that you can imagine! 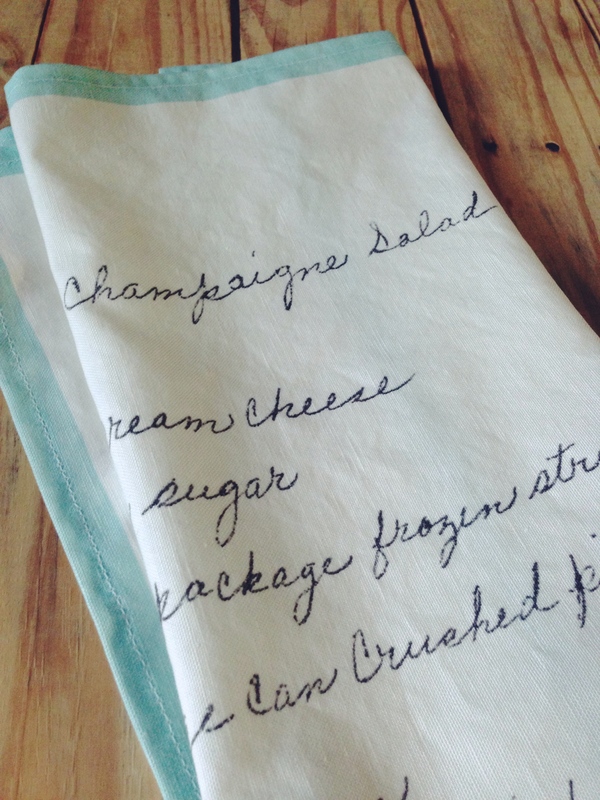 My husband scanned the old recipe card and set up the file on our computer, we uploaded it to Spoonflower and had it printed onto linen-cotton fabric. 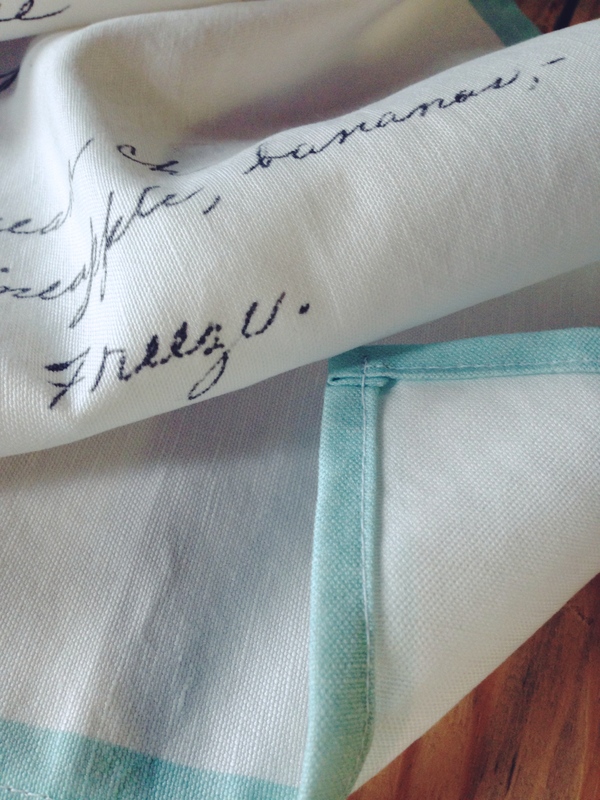 After my fabric order arrived, I used my sewing machine to create a finished edge, and my tea towels were finished! 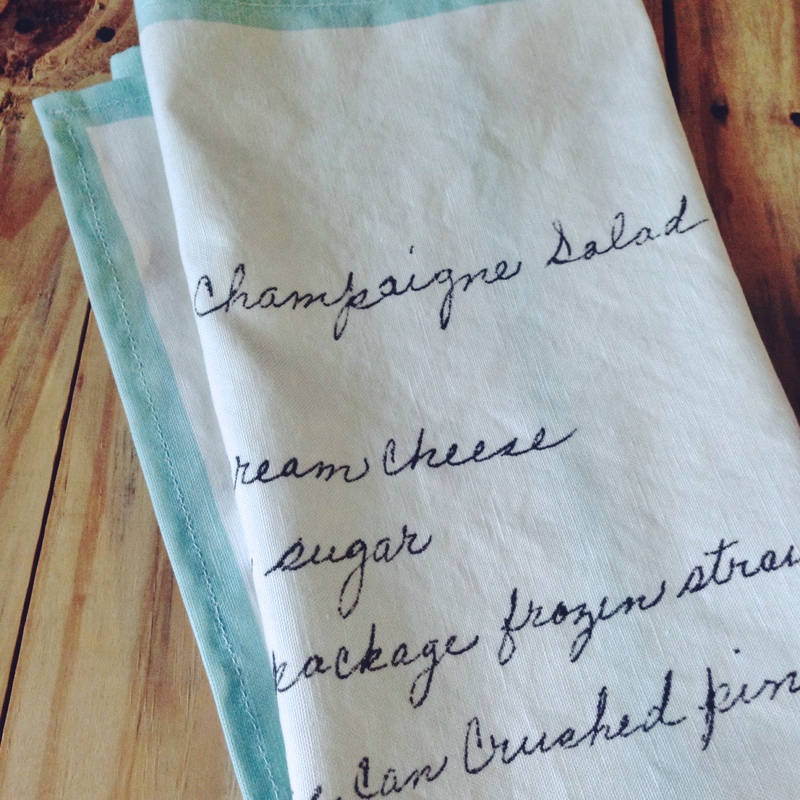 These tea towels would make an excellent DIY gift for Mother’s Day! Find the complete tutorial, along with all of the technical details, on Spoonflower’s blog HERE. I was one of the lucky people on Shae’s Christmas list that received one of these awesome towels. I’m going to frame and hang on my wall. Thanks Shae and Drew. Love You guys and enjoyed my visit. So glad that you like it! It was so good to see you around the holidays! What an incredibly sentimental and beautiful gift!! Love it!! What a beautiful gift! Such a great idea.